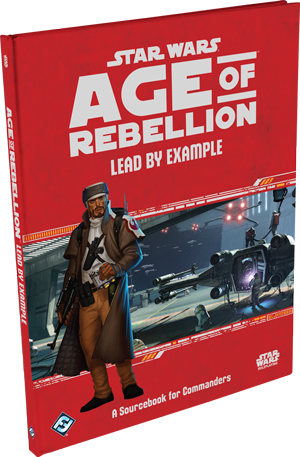 Lead by Example is the latest Sourcebook in the Age of Rebellion line for the Fantasy Flight Star Wars system. 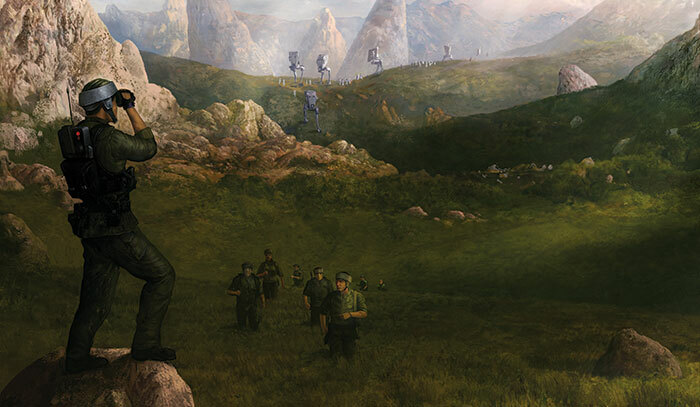 This book provides additional specializations for the Commander career from the main Age book. It also adds Chagrian, Ishi Tib, and Lannik to the species options. Lannik we’ve seen in Force and Destiny (Master Piell), the other two are new to the system. The new specializations are Figurehead, Instructor, and Strategist. Beyond this, it also details a few new bits of equipment and vehicles, and has a very detailed section on mass-combat rules. Chagrians are an interesting species. The most notable example I can think of is Vice Chancellor Mas Amedda, seen at the right hand of Palpatine in several scences from the prequels. Mechanically, they start with one rank in Resilience, can breathe underwater, and start with one rank in the Knowledge Specialization talent. This provides an additional success when a triumph is rolled on a particular knowledge check, per ranks in the talent. Not terrible, but starting with a one in agility (somewhat inexplicably) and only 90 starting XP makes this a pretty weak choice, unless its an amphibious campaign. 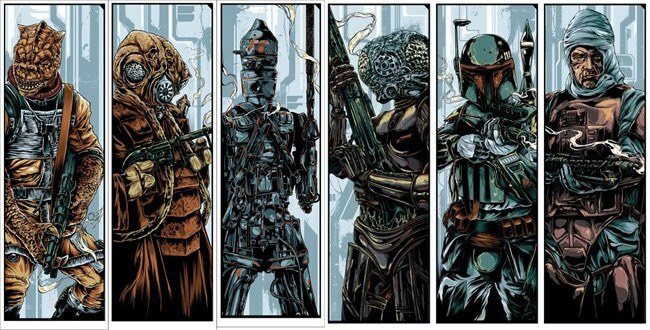 (All Mon Calamari and Quarren PCs would get a bit old). Speaking of which, Ishi Tib are also amphibious. 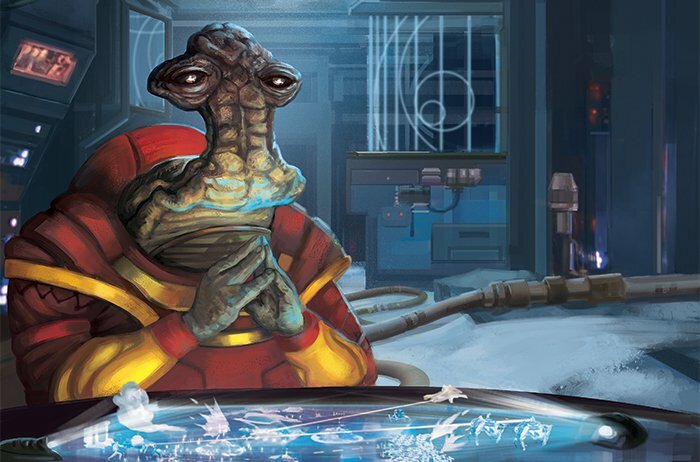 I couldn’t think of a prominent Ishi Tib off the top of my head, but apparently one was Jabba’s accountant, and another was in the Techno Union (which I thought was mostly droid-like guys). These beaky guys start with a 3 in intellect, and rank in Discipline, but must be “doused in salt water every 24 hours” or their wound threshold is reduced by 2. Luckily they are pretty brawny, but that quirk could be either a really fun role-playing opportunity or a tiresome chore. 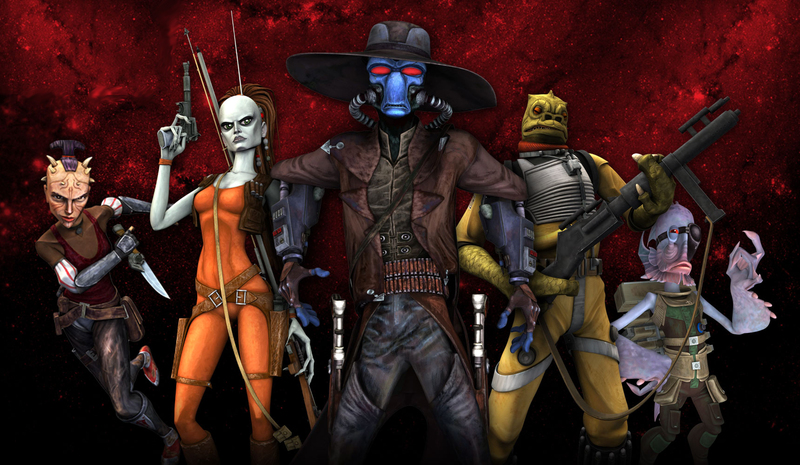 It almost seems like starting the character with an addiction obligation from Edge of the Empire. On to the specializations. Figurehead seems to be a blend of a diplomat and military commander. To the core Commander skills of Coercion, Cool, Discipline, Knowledge (Warfare), Leadership, Perception, and Vigilance, this spec adds another Cool, Leadership, Negotiation, and Knowledge (Core Worlds). This would make a pretty excellent all-purpose leader – especially combined with the Recruit tree from the core Age book to round out combat skills. Instructor is my favorite of the three. This is a classic drill sergeant archetype, but to the base set of Commander skills, it adds another Discipline, Medicine, Ranged (Heavy) and Knowledge (Education). It is nice to have another spec with the rare medicine skill, and the tree also has stimpack specialization a few times, not to mention grit and toughened, to make this a frontline, combat-ready leader. Strategist seems to be geared towards the mass combat rules detailed later in the book. This spec adds Computers, Cool, Vigilance, and Knowledge (warfare) – so pretty much just Computers. The tree has a lot of research talents, so its a bit of a scholar/commander combo. To me, this has very limited playability unless the campaign was focused on mass combat and capital ship battles. While that is certainly possible in Age, its not a campaign that really speaks to me. The mass combat rules are basically rolling opposed checks based on the strength of assembled forces, upgrading or adding boost and setback depending on various circumstances. Based on the results you can narrate the results of massive battles, while your PCs do their best to affect the outcome on a more personal scale. I enjoyed the section at the back that discussed medals, including a few I recognized from playing X-wing way back in the day like the Kaildor Cresent and the Corellian Cross. Overall, this book is for the completionists, or GMs that want to run a campaign that focuses on a macro scale for battles. The instructor spec is excellent, but I’m not sure if that is enough to justify this one. I’m looking forward to what the Technician book will bring for us in Edge, and of course, we’re all awaiting the Bounty Hunter sourcebook.